Before you gasp at how low that bill is, it would be the equivalent of about $21 today, according to the Inflation Calculator. 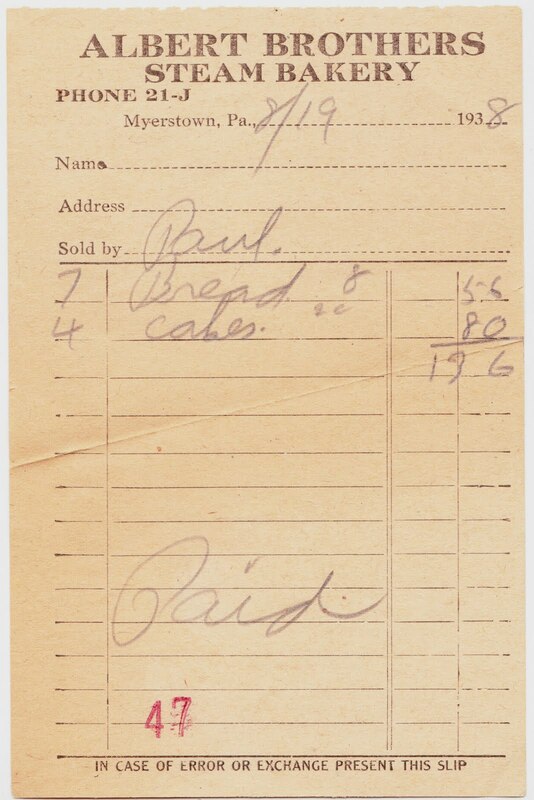 On the "Sold by" line of this receipt is the name Paul. That could be a reference to Paul P. Albert, who was a founder and worked at Albert Brothers Bakery for 37 years until his retirement in 1961, according to his obituary, which was published in the October 25, 1973, issue of the Reading Eagle. Another Albert brother was Henry F. Albert, who died on July 1, 1965, at age 71. Beyond that, I haven't been able to dig up much. 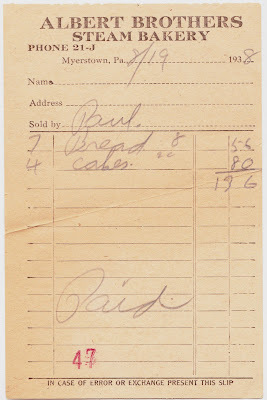 Anyone have anything to share regarding the Albert brothers and their 20th century bakery in central Pennsylvania? 1. Born on August 19, 1938: Diana Muldaur of "Star Trek: The Next Generation" and "L.A. Law" fame.